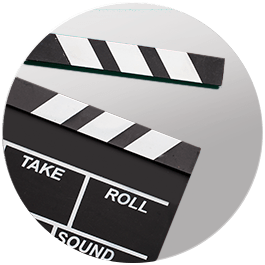 Most of the people appearing in our videos are employees at Crutchfield. We pull in folks from around the company to share their expertise. A lot of our on-camera stars come from our Advisor Group — they help people choose the right gear via phone, email and chat every day, so they're good at explaining the products and technologies. Bluesound marks a collaboration between NAD and PSB to bring Hi-Fi into the wireless age. Once connected to your home network, Bluesound lets you stream your hi-res digital music files using your smartphone, tablet or computer as the controller. 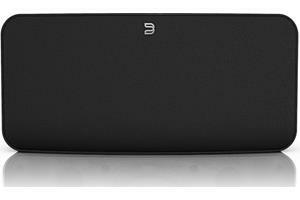 Bluesound's multi-room streaming music system gives audio enthusiasts the ultimate in wireless sound quality. It was designed to play just about any digital music you might have in your collection, including high resolution files up to 24-bit/192kHz. You can control the Bluesound system using a free app for smartphone or tablet or use the desktop app for Windows and Mac. Bluesound lets you access the music stored on your computer, a networked hard drive or their Vault with its 1 TB storage drive. You can also tap into internet radio stations and online streaming services like Rdio, Spotify, and Tidal High Fidelity Music Streaming. Each Bluesound player also features a USB input for playing files locally from a thumb drive or hard drive. 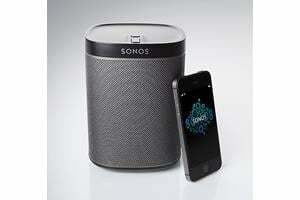 Bluesound has a variety of music players so you can choose the right one for each room of your home. The Vault lets you access your music library without leaving your computer powered on. It features a 1 TB storage drive and a built in CD slot so you can rip bit-perfect copies of your discs. It connects to Bluesound players around your home and lets you make a traditional audio connection to existing setups. The Node turns your existing audio system into a network capable Bluesound player. Connect the Node's analog or digital outputs to your existing system and you'll be able to play all the music stored on your home network as well as internet radio stations and more. The Powernode features a high performance built in stereo amplifier capable of driving a pair of floor-standing speakers. It utilizes the same direct digital technology found in NAD's high end Masters Series products that virtually eliminate distortion giving you deeper bass and better clarity and texture in your music. The Duo is a compact three-piece system that was designed specifically for use with the Powernode. 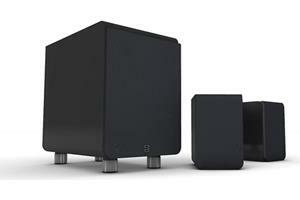 It features a pair of compact satellite speakers and a punchy powered sub for deep bass. When paired with the Powernode you can utilize a custom EQ setting to bring out the best that these speakers have to offer. The Pulse is an all-in-one player that combines the advanced technology of NAD digital music processing and amplification along with the speaker engineering prowess of PSB. It lets you play tunes from the internet and songs stored on a network computer or hard drive. It may be small but its sound can easily fill an entire room. 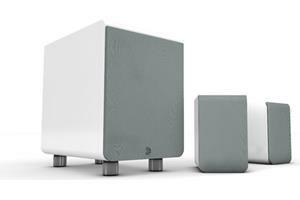 Bluesound also works with the NAD Masters Series. If you already have a Masters Series M12, an optional BluOS module lets you turn your preamp into a wireless music player. Bring your hi-fi system into the digital age with Bluesound. 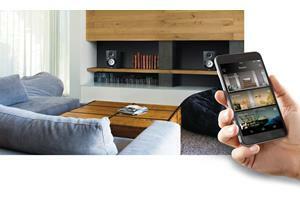 Their flexible streaming music system lets you experience audiophile grade sound in any room of your house. If you have any questions about Bluesound please give Crutchfield a call.